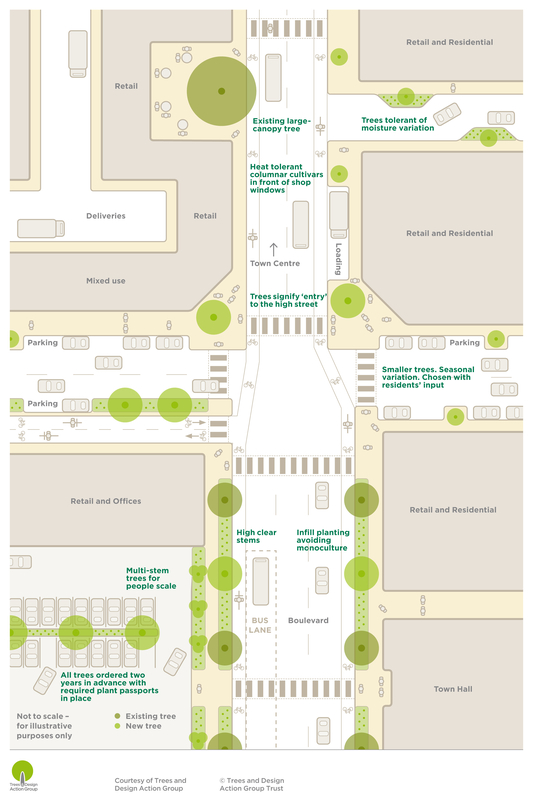 ﻿Explores the practical challenges and solutions to integrating trees in 21st century streets, civic spaces and surface car parks, detailing process, design and technical options. 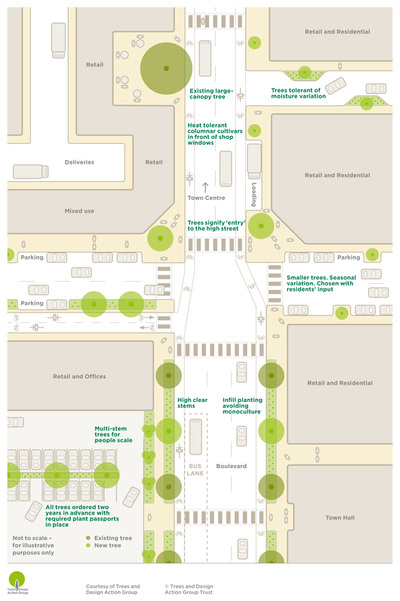 Will be of particular interest to highway engineers, public realm professionals and tree specialists.﻿ Winner of the 2016 Landscape Institute Award for Policy and Research. ​To download the FRENCH version of the guide (released in May 2016), click here. For producing this guide, TDAG joined forces with the Chartered Institution of Building Services Engineers (CIBSE), the Chartered Institution of Highways and Transportation (CIHT), the Institution of Civil Engineers (ICE), and the Institute of Chartered Foresters (ICF), which have all been active members of the steering group reviewing and advising throughout the development process. 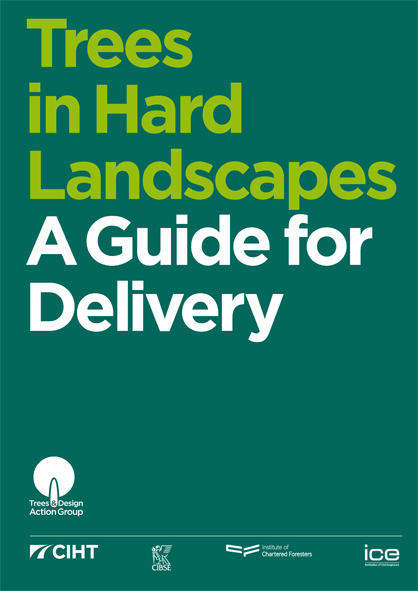 Trees in Hard Landscapes: A Guide for Delivery has also benefited from the input of over 100 built environments professionals and organisations from wide ranging disciplines and sectors who have taken part in interviews, contributed case study materials and/or offered feedback on earlier drafts. 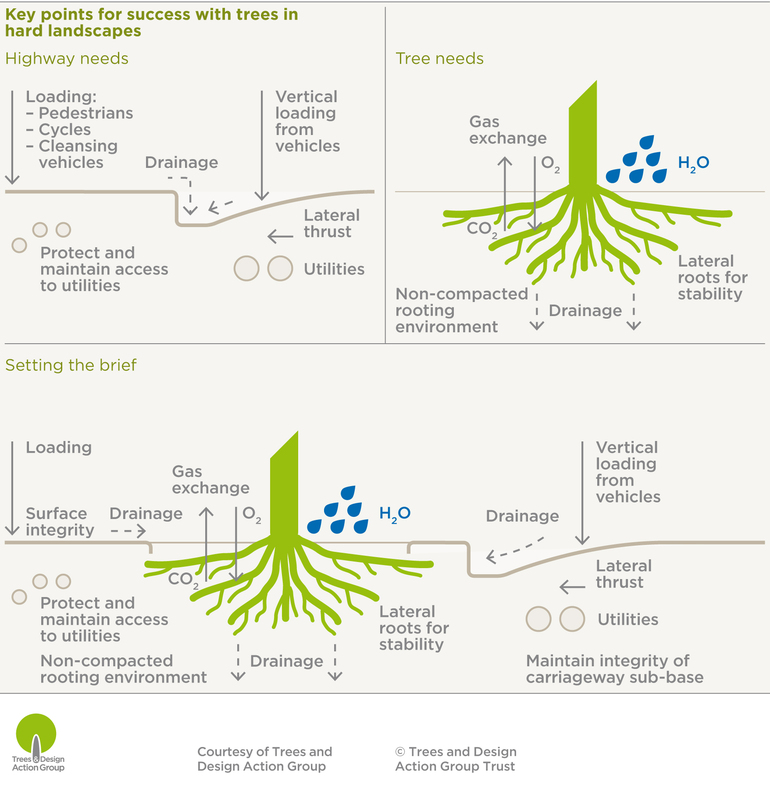 Do you need images to champion the integration of trees in hard landscapes? Feel free to download and use the images below, courtesy of TDAG. We kindly ask that you do not crop the credit and copyright information shown on each image and acknowledge Trees in Hard Landscapes: A Guide for Delivery as the source for these illustrations. To help disseminate the guide amongst built environment professionals, TDAG partnered with a range of organisations to hold a series of CPD training sessions and seminars. Led as interactive workshops, these sessions provide the opportunity to explore how to put into practice the key recommendations set out in Trees in Hard Landscapes: A Guide for Delivery, and get rich insights into the case studies. Paper copy of the publication are made available. If you are interested in partnering with TDAG to organise such event in your area, please contact us! 29 October 2014 | All-day | Ely, Cambridgeshire: Held at Barcham Trees' headquarters, this seminar focused on key principles for success with trees from the nursery to independence in hard landscapes. 05, 18, 19 and 20 November 2014 | All-day | Exeter, York, Preston, Leicester: Organised by the Arboricultural Association (AA), these one-day CPD seminars focused on the key recommendations from both the new BS 8545:2014 Trees: from nursery to independence in the landscape and Trees in Hard Landscapes: A Guide for Delivery. An article summing-up the discussions and ideas explored at these events is available here. 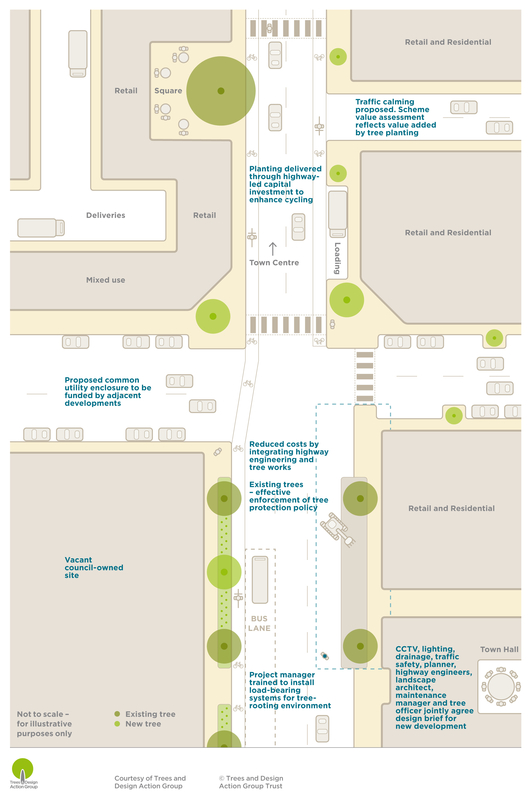 13 November 2014 | Half-day | Birmingham: Organised by RTPI West Midlands at MADE Offices, this session looked at "Functional Landscapes: the Integration of Green Infrastructure in Urban Design", using principles and examples drawn from Trees in Hard Landscapes: A Guide for Delivery to demonstrate theory in practice. 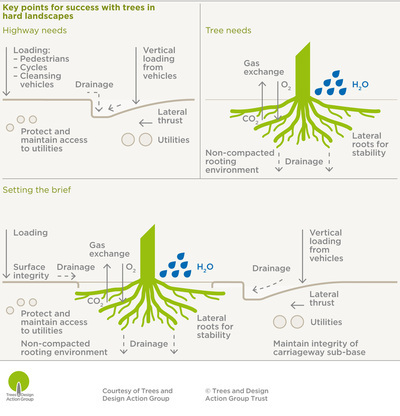 02 December 2014 | Half-day | London, City Hall: Organised by the Greater London Authority, this event invited an urban planner, an arboriculturist, a young tree specialist, a landscape architect and a civil engineer to share their perspective on the relevance of Trees in Hard Landscapes: a Guide for Delivery to their work, and how to put it to best use. 22 January 2015 | 6:00-8:00pm | Newcastle, Central Sq: Organised by the North East branch of the Landscape Institute (LI), this seminar explored the content of Trees in Hard Landscapes: A Guide for Delivery through the experience of two local speakers and case studies examples from France, Sweden, and South Tyneside! 29 January 2015 | 1:45-5:00pm | Manchester, The Manchester Museum: Organised in partnership with The Red Rose Forest, this event featured a planner, a civil engineer and an arboriculturist to discuss how using urban trees to deliver multiple benefits and returns on investment (as described in Trees in Hard Landscapes: A Guide for Delivery) can contribute to Greater Manchester's sustainable growth ambitions. 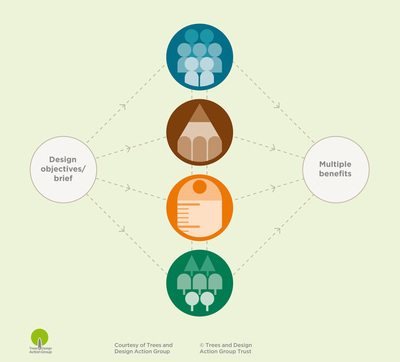 30 January 2015 | 9:30am-12:30pm | Liverpool: Organised by the Mersey Forest, and featuring Maria Eagle MP, Shadow Minister for DEFRA, this one-day seminar built upon principles and examples drawn from Trees in Hard Landscapes: A Guide for Delivery to examine the role trees in facilitating growth and helping to cost-effectively address other fundamental needs such as sustainable transport and water management. 04 February 2015 | 9:15am-4:15pm | London, Palestra: Organised by Urban Design London (UDL) this one-day seminar looked at the emerging vision and policy for London’s green infrastructure: both green spaces and trees. Case studies explored challenges and innovative practices for funding and managing green assets. Presentations and discussions then focused on designing with trees and construction detailing for tree planting in the built environment - drawing from the content of Trees in Hard Landscapes: A Guide for Delivery. 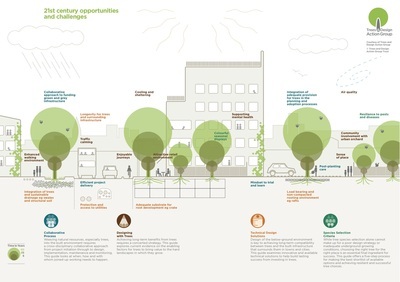 23 & 30 March 2015 | 1:30pm-5:15pm | London, The Building Centre: Organised by the Landscape Institute and The Building Centre, these seminars on 'Trees in Hard Landscapes' were designed as a two-part series to explore the latest research, technical solutions and project examples on the contemporary use of trees in streets and the wider public realm. 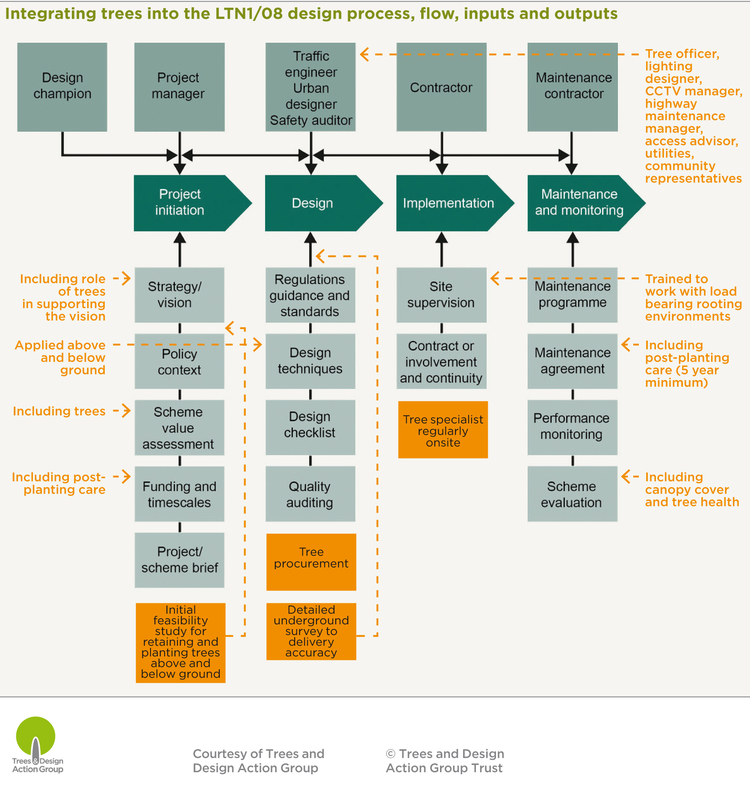 The 23/03 event focused on the new found relevance of trees to meet design ambition and enable enhanced project value. 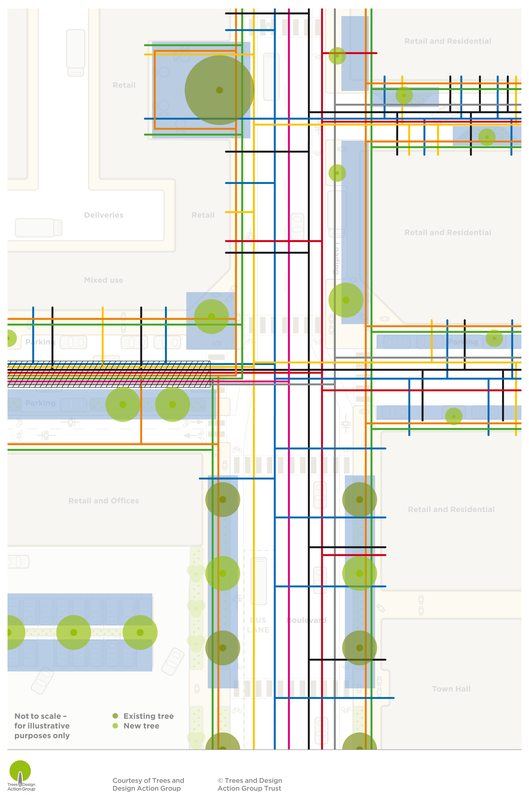 The 30/03 event took a closer look at delivery issue, exploring the pivotal roles of below-ground design solutions and robust use of the planning system. Both event will draw from the content of Trees in Hard Landscapes: A Guide for Delivery. 22 & 23 June 2015 | Half-day or All Day | Edinburgh & Glasgow: Organised with a wide coalition of partners, 'Better places, Better Infrastructures, Better Live: Delivering Real Value with Urban Trees' cast an unconventional light on public realm design. Full programme details available here. Presentations from the seminars will soon be available - check again on this page in the next few days. 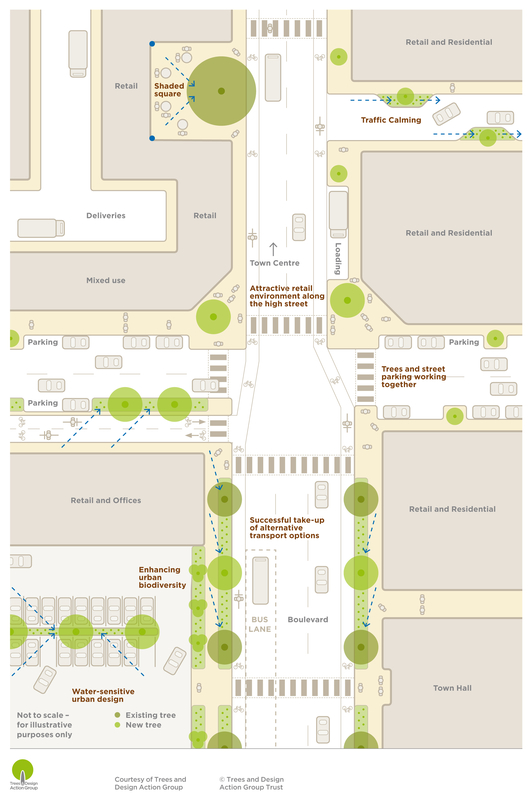 15 & 22 June 2016 | 2:00-5.15pm | Clerkenwell, London: Organised by the Landscape Institute Reimagining streets for greater sustainability: the role of trees is a two-part cross-disciplinary seminar exploring of the latest research, technical solutions and project examples for the contemporary use of trees in streets and the wider public realm. More details on the programme here.